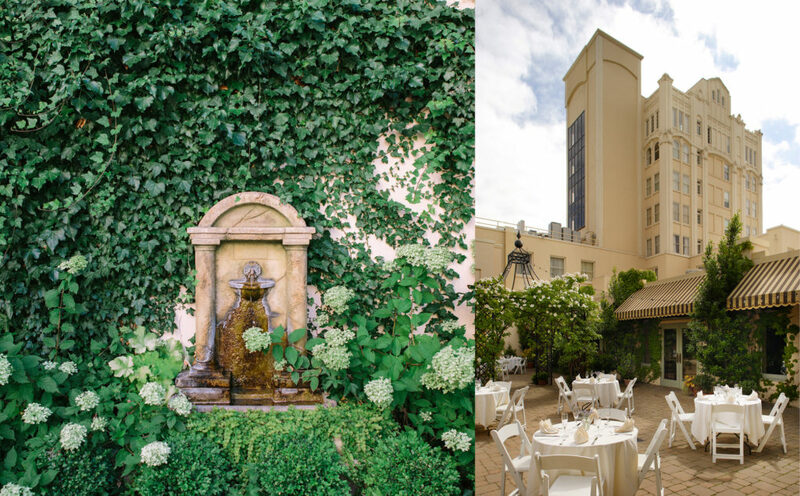 The courtyard garden with cobblestone floor, complete with sundial, fountain, custom designed wrought-iron gazebo and trellises boasts a collection of old fashioned climbing roses, petunias, specimen trees, ferns and ivy. Ornamental garden planters spill out spectacular annual flowers all spring and summer. Garden tables, chairs and decorative lighting invite you to enjoy this charming outdoor setting, perfect for a late spring, summer and early fall gathering.